Eight years ago, Jada Josette was hanging out a few blocks from where she was living in McAllen, Texas, when she decided to walk to a nearby Stripes. A few minutes into her walk, just outside of where the McAllen Convention Center stands, a car pulled over. In a matter of seconds, four individuals jumped out and with a crowbar proceeded to viciously attack her as they tried to take her purse. She tried to block the blows as much as she could, but the attack was extreme. They left her covered in blood. Josette’s assailants were never found or arrested. While she never found out who were the men behind those attacks, she does know is that every year, hundreds of trans people like her are the victims of targeted transphobic attacks that many don’t survive. This knowledge and the horrifying memory of her attack are among the things that push Josette, who’s now a leader of the Trans Women Support Group, to publicly fight against transphobia. On Nov. 20, she and several other members of the LGBTQ community gathered at the University of Texas Rio Grande Valley campus in Edinburg for Trans Day of Remembrance, a day in which groups across the country pay tribute to the trans people killed within the past year. “Not being a statistic fuels me to be the voice of those whose voices can no longer be here,” Josette said. Gabriel Sanchez, Valerie Marie Severn, and Madeleine Croll were also among the coalition of trans leaders that helped put this year’s Rio Grande Valley gathering together. According to Croll, 22 trans individuals were killed within the United States during the course of the last year; at least 369 people were killed worldwide. The country that led the list in trans murder was Brazil, with Mexico coming in second. One of the issues that leaders raised was the high incidence of trans women murders in Latinx communities around the world. According to Human Rights Campaign, the “intersections of racism, sexism, homophobia, and transphobia conspire to deprive [trans women of color] of employment, housing, healthcare, and other necessities,” making them especially susceptible to fatal transphobic violence. It’s why the life expectancy of trans women of color is 35 years old, Croll shared. At the gathering, Gabriel Sanchez, colonias policy analyst and educator with Texas RioGrande Legal Aid, spoke about the Valley’s long and problematic history with systemic transphobia. According to Sanchez, during the late 1980s and early to mid-1990s, there were a series of murders of trans and gender nonconforming individuals throughout the Rio Grande Valley. By Sanchez’s own research, almost ten to fifteen murders happened during this period, most of which were never resolved. In his comments at the event, Sanchez pointed out that family members and friends of those murdered felt that the police failed to do enough to investigate the murders because of transphobia and the gender identity of the victims who were involved. One of the people who was a victim of murder during this time was Candy Red. “Candy is remembered by many who knew her for her natural beauty, bold attitude, her courage for coming out at a young age, and for being a support to other women struggling with coming out and transitioning at the time. Candy’s death shook the community and remains unsolved,” Sanchez wrote on the Pansy Pachanga Instagram profile later that night. 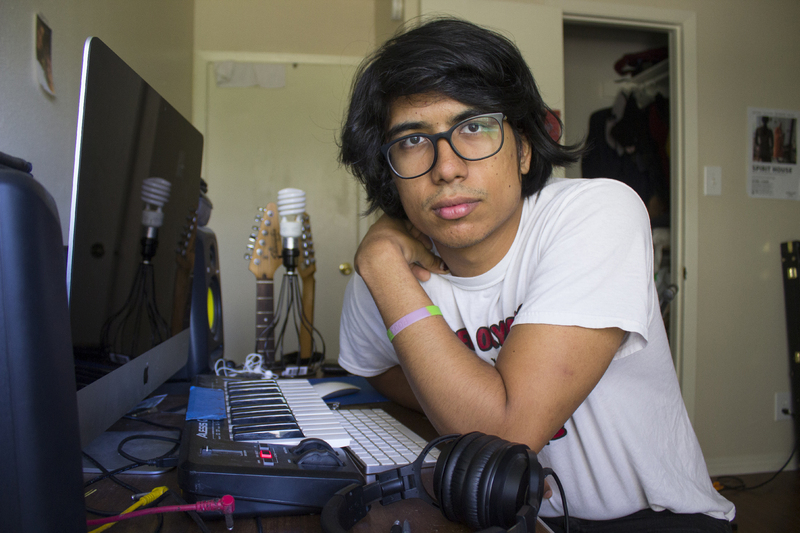 Pansy Pachanga is an upcoming documentary about the Valley’s LGBTQ+ history. Another person who was a part of the spree of murders was Michelle, who was killed on Aug. 31, 1990. When The Monitor reported over her murder, they misgendered her. Like Red, her murder was never solved. Sanchez, co-director and producer of Pansy Pachanga, will pay tribute to the lives that were lost during this string of hate crimes in the documentary. In retelling and re-emphasizing the stories of people like Red and Michelle, Severn said they accomplish one of the important goals of Trans Day of Remembrance: to take a stand against the silencing and erasure of trans people. At the gathering, organizers also made sure to also provide a space for the stories of those whose well being and whereabouts remain unknown. The family of Kimberly Avila was given a platform to talk about their beloved family member, who has been missing since May 12, 2017, when Avila was last seen in downtown Brownsville. Ivon Rodarte, Kimberly Avila’s sister, spoke emotionally about her sister. Even after her disappearance, transphobia against Avila persists; according to Rodarte, the family’s missing flyers continue to be torn down, even burnt in some cases. Unfortunately, as in the cases of Red and Michelle, Rodarte believes that local police— in this case the Brownsville Police Department— is simply not doing enough to find out what happened to her sister. Despite the lack of support, Rodarte, her family, and many members of the LGBTQ community refuse to give up and continue to move forward with the hope of one day finding out what happened to Kimberly. In fact, South Texas Equality Project (STEP), a coalition of groups who advocate for the LGBTQ community in the Valley, is offering a $5,000 reward for any information that leads to an arrest. With many tragedies in the Valley and around the world, there is also positive news to report. Amongst the trans community, one of the positives that have surfaced in recent years is the emergence of strong trans support groups in the Rio Grande Valley. According to Sanchez, there have always been strong and resilient trans leaders in the Valley, but the existence of a multiplicity of groups, including the Trans Women Support Group, Trans Folx, and Trans-LatinX RGV, is a more recent and promising occurrence. For Josette, this year’s Trans Day of Remembrance was a touching and meaningful event that she takes great pride in, particularly because it was an event organized by an all-trans team of organizers. Although she will never forget the attack that she suffered, events like this year’s Trans Day of Remembrance remind of her of the resiliency of the trans community and of the urgency of ending transphobia. The rise of new groups and leaders working together to fight the transphobia that still permeates in the Valley gives her hope.